It is important to deploy mental health and bereavement professionals, and social workers to provide short and long-term support to students, staff, and the broader school community. 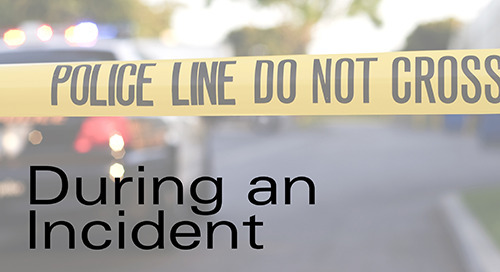 While it is important these professionals provide supports at the location of the incident, it should be recognized that students and staff at neighboring schools may need professional support as well. Students and staff at other local schools may have family members or other loved ones who were injured or killed during the incident. In addition to mental health and bereavement professionals, consider bringing in therapy dogs. National Center for School Crisis and Bereavement (NCSCB) - For free, immediate technical assistance and training focused on short and long-term recovery, contact the National Center for School Crisis and Bereavement (NCSCB) at helpnow@schoolcrisiscenter.org or 877-53-NCSCB (877-536-2722). They have provided countless school districts in California (and beyond) immediate free support. This should be one of the first calls your district makes after an emergency. NASP Addressing Grief Resources - The National Association of School Psychologists provides resources to help with addressing grief and crisis for staff and students. American Psychological Association - This link has information regarding “What are common reaction and response to a disaster?”, “How do I cope?”. There are also links to featured topics for further research. 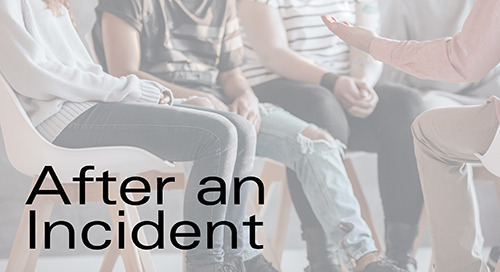 California Center of Excellence for Trauma Informed Care - This website provides many resources for responsiveness to different types of trauma, including violence, disasters, death, etc. This is a great one to share with your school psychologists, counselors, and other support personnel. Staff will require ongoing long and short term support after a major incident.